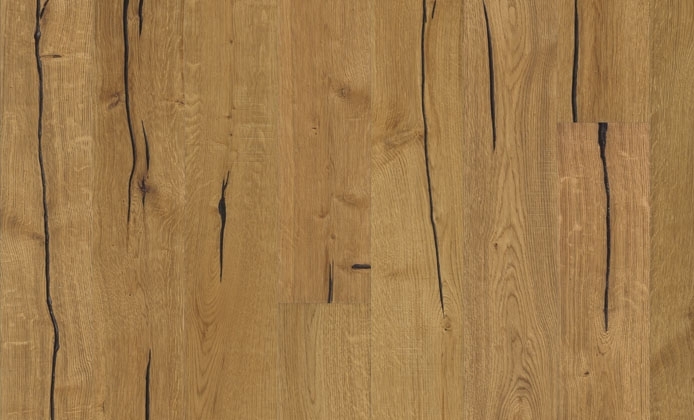 In the world of flooring, Oak Finnveden could be considered a work of art. Its oak veneer features captivating dark lines, filled cracks, and flowing markings that show the allure of the rustic-grade grain in all its glory. Light brown tones and black accents combine in a versatile design that would complement a classic décor perfectly. 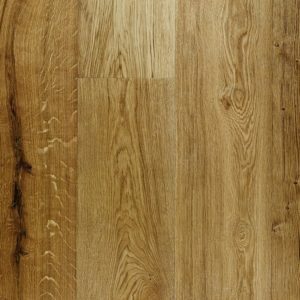 Designed to stand the test of time, this engineered wood flooring comes with 15mm-thick planks and a 3.5mm oak veneer, as well as with a 30-year residential warranty. 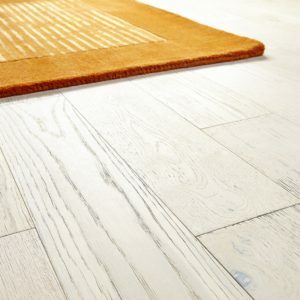 This floor from the Supreme range is a perfect addition to a room that requires a touch of natural beauty and eye-catching style.